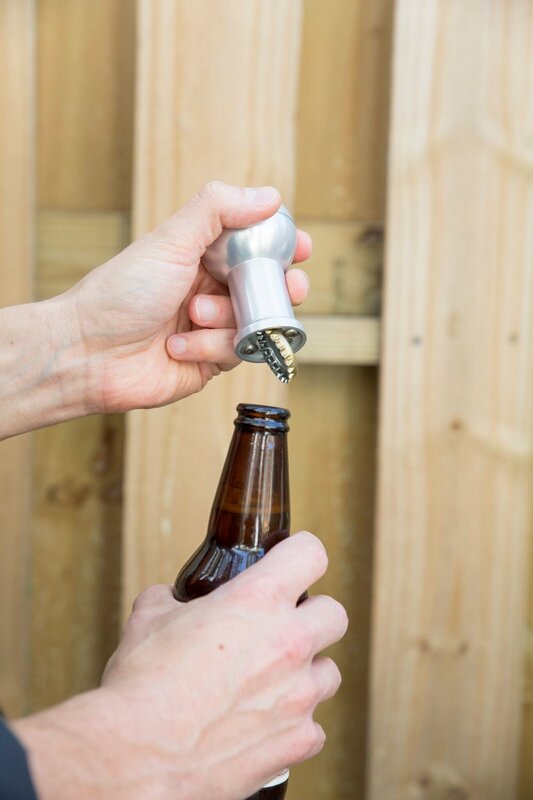 The BEER KNOB bottle opener is the gear knob for the beer snob. Made specially for the discerning car enthusiast…it won't work in your car, but it will open your favorite beverage! The satisfying sensation of shifting through the gears no longer has to end when your drive does. 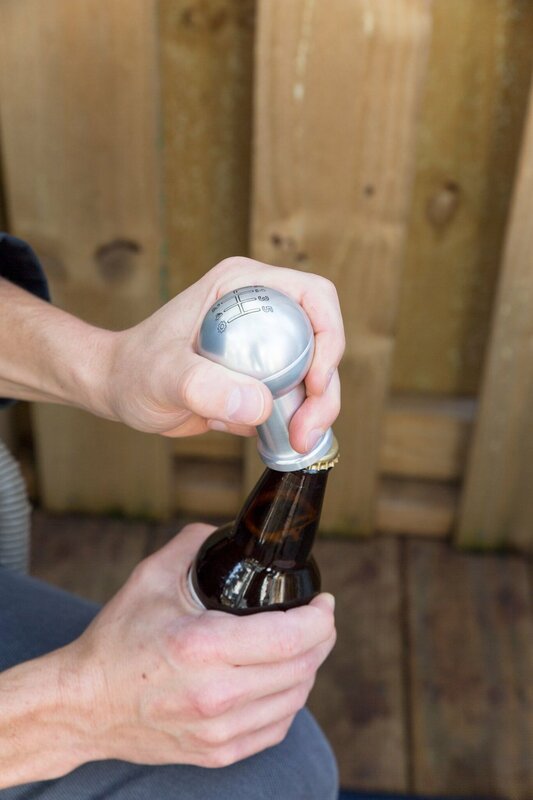 How does the BEER KNOB work? Grab the BEER KNOB as you would a shift knob. Hook the opener underneath the cap edge. 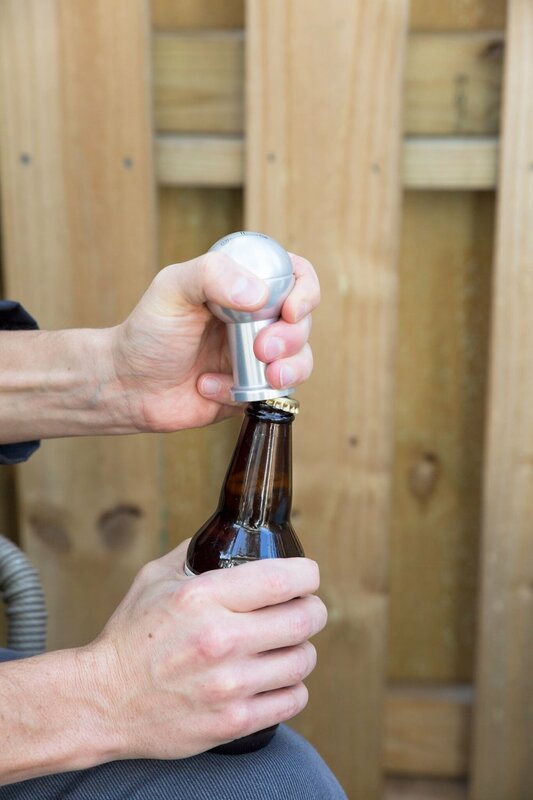 Pivot the Beer Knob over the bottle top to “pop” the cap off! The integrated magnet will catch the bottle cap for easy retrieval. Celebrate another flawless gear shift and enjoy your beverage.